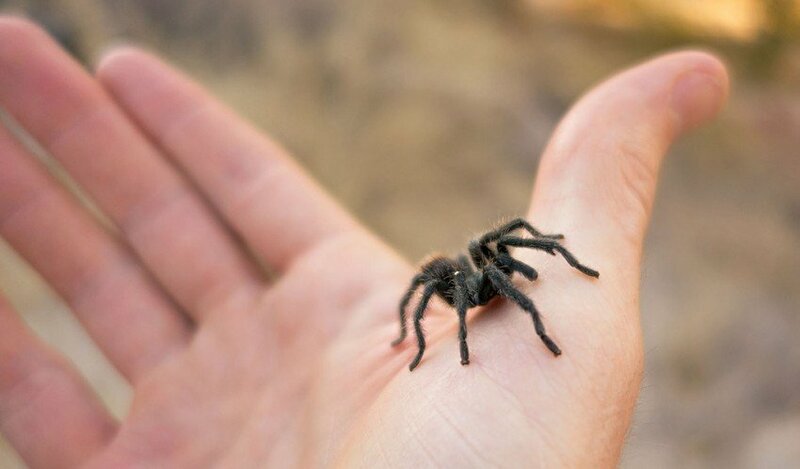 It may not be fluffy, kissy, cuddly or cute, but the tarantula is a popular pet. 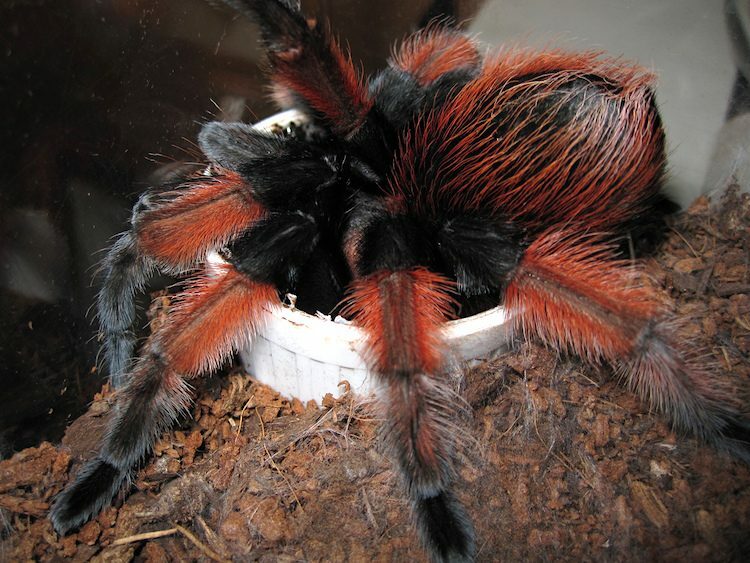 Here’s a look at pet tarantulas for beginners. 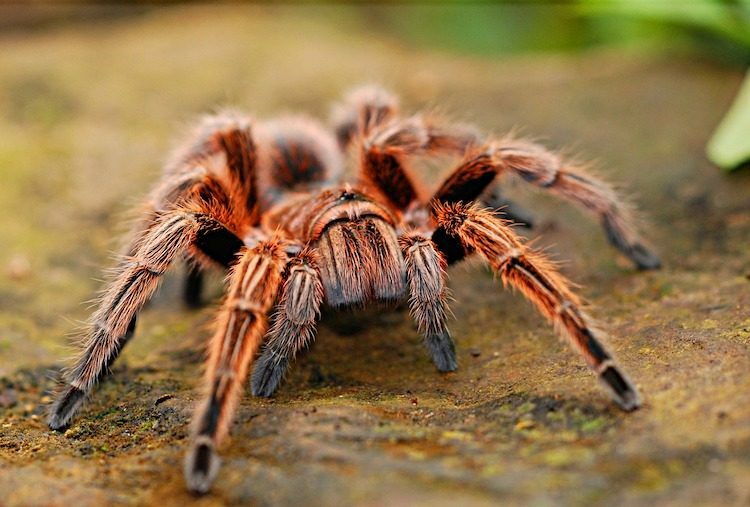 Tarantulas’ popularity as pets has been on the rise over the past few years. Although they do have venom, tarantulas rarely bite — and the venom is no more dangerous than that of a bee sting. “Tarantulas are slow-moving and do not usually bite unless threatened,” says Molly Keck, Texas AgriLife Extension Service integrated pest management specialist. “Though scary-looking, tarantulas actually make docile pets,” she adds. About 800 species of tarantulas live on almost every continent, including North America, Europe, Australia, Africa and southern Asia, but the greatest population is in South America. The average tarantula life span is 10–15 years for males and up to 30 years for females. In their native habitats, they burrow into tunnels they’ve dug in the ground or live in trees, making nests of spun silk. The require very little space. They are easy to feed. Creating a habitat for them in your home is simple and fun. Your spider will also need an area to hide in, such as a half-log, as well as branches, rocks and leaves to make your tarantula feel more at home. Although a light isn’t required, you can use a red light for spider habitats if you’d like to see your tarantula better at night. Tarantulas eat crickets or other gutload insects. Keep a shallow dish of water in the habitat. Perhaps the most important fact to remember about tarantulas is that they are territorial cannibals. Don’t ever house more than one tarantula in a habitat — you would be left with only one fat and happy arachnid and wondering where the other one went. The main component when you go to make a pet tarantula habitat is a terrarium or aquarium. The ideal size is 10 gallons, but 5 gallons is sufficient. This terrarium on Amazon would be a great choice for a pet tarantula. Regardless of your habitat, be sure the top has a locking closure, because tarantulas are excellent escape artists. Bedding is usually a few inches of sterilized potting soil or Eco Earth substrate. Place the habitat in an area of your home that averages 70–80 degrees Fahrenheit, or use a heating pad. Accessories similar to those in fish tanks (plants and rocks) are ideal additions, as is a hiding place like a hollowed log. Keep the decorations away from the top of the habitat. If the tarantula is near the top when it is opened, the spider could make a fast getaway. Change your pet tarantula’s water every day. Clean the dish thoroughly weekly. Empty and clean the habitat every 4–6 months. First, remove the water dish and scrub it clean to remove any mold or remains from drowned insects that were not eaten. Next, move your tarantula into a temporary container with holes for ventilation. Then wash the tank, replace the bedding, and remove any spun silk from the sides and accessories. Tarantulas eat a variety of insects and bugs — most commonly crickets, grasshoppers and beetles. But you don’t have to feed your tarantula often. The average tarantula will eat once or twice a week, and larger species may eat as many as 6 insects per week. The water dish should be around ½ inch deep, and remember to change the water daily. Pet tarantulas are great at regulating their dietary needs, which means it’s impossible for you to overfeed them. If they have not eaten their prey by the second day, remove it from the habitat. Keep an eye out for shriveling in the abdomen. This is a sign of underfeeding and possible dehydration. See an exotics veterinarian. Tarantulas have sensitive bodies and are prone to injury easily. Keep a hand underneath the tarantula. Keep another hand ready for the spider to walk on and to prevent falling. Keep in mind that a fall of just a few feet can burst or crush the animal’s abdomen, and this is usually followed by death. They can kick hairs off their bodies and onto you, and these hairs have barbed edges that can cause redness and swelling similar to a rash. The tarantula can also bite if it feels threatened, but there is a warning just before this occurs — the spider will raise its front legs and show its fangs just before it strikes. A tarantula bite is usually comparable to a bee sting and releases a low amount of venom. The bite area may appear red, swollen or create mild pain. Clean the area and apply an antiseptic to prevent an infection. Nausea and fever are possible and even more so in people allergic to bees, so be prepared to seek medical attention if symptoms persist or worsen. Molting is a process similar to how snakes shed their skin. As the tarantula grows, it needs a larger outer body. You may be able to predict the onset of molting by noting a change in the abdomen color and the spider’s refusal to eat. Molting can take several minutes or several hours, and this incredible process also allows the tarantula to regenerate internal organs and missing limbs. The body will be extremely fragile until its new exterior hardens, so don’t handle the spider for at least 1 week. Also, avoid live feeding for a few days — even a seemingly harmless cricket or grasshopper can injure the tarantula in this molting state. 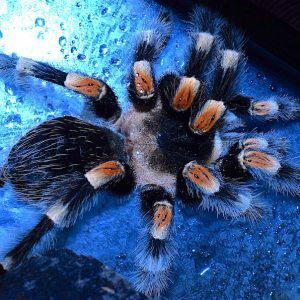 Can I Breed My Pet Tarantula? If you are thinking of breeding tarantulas, there are a few things to keep in mind. First of all, mating can be dangerous for males (see “Fun Facts” below). And, get this: The average reproduction can produce 500 to 3,000 offspring! But if you have your heart set on a tarantula village, please seek professional advice before beginning breeding. A specific breed of wasp can sting and paralyze a tarantula. If the sting is successful, the wasp will lay eggs on the tarantula’s abdomen and bury the spider in a closed burrow. When the wasp eggs hatch, they will consume the paralyzed tarantula while it is still alive. Tarantulas use their venom to dissolve their prey into a liquid to be sucked up like soup. While not common, female tarantulas can eat males during the mating process. Most males will lay eggs and run away. Do you blame them? You can buy tarantulas from breeders, pet stores and pet shows, or exhibitions. American Tarantula Society: Annual conference for tarantula owners and fans. British Tarantula Society: Annual exhibition in England.